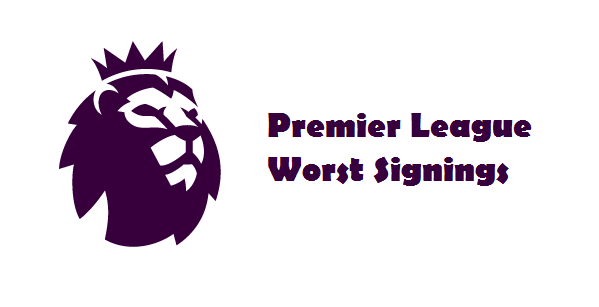 Check out Premier League Worst Signings. EPL worst summer transfers include top clubs Tottenham Hotspur, West Ham United and Manchester City. Premier League sides were very active in the summer transfer window, but some of their signings eventually did not prove to be fruitful. The likes of Vincent Janssen, Ahmed Musa and Simone Zaza have been playing below expectations in the 2016/2017 Premier League and they are seen as the worst acquisitions of the season. For this transfer special we teamed up with Johnny Grant, editor at FootballPredictions.com. After impressing with AZ Alkmaar in the 2015/2016 season Vincent Janssen joined Tottenham Hotspur on July 12, 2016 for £17 million. The Dutch attacker scored 27 goals in 34 appearances for AZ in his last season in Eredivisie and many people expected that he would help Spurs improve their game. However, Vincent Janssen has been in Harry Kane’s shadow ever since he joined the White Hart Lane outfit and he failed to impress in matches he started. Janssen has scored only two goals in 23 appearances for Tottenham and he did not take advantage of Harry Kane’s injury. The Dutch forward has a four-year contract with Mauro Pochettino’s team, but the club chiefs are considering the option of selling the 22-year-old striker in the summer transfer window. Ahmed Musa was producing outstanding performances in the Russian Premier League during his spell with CSKA Moscow. The Nigerian forward scored 42 goals in 125 appearances in the league for the Armeitsy and many football predictions were pointing towards him to become a significant Premier League star. However, the new Leicester City man has been struggling to adapt to the new surroundings and it has to be noted that he has netted only two goals in 20 league fixtures for the Foxes. Ahmed Musa found the net in a 3-1 victory over Crystal Palace on day 9 of the 2016/2017 Premier League campaign, but he has not been as impressive in the English top flight ever since. Leicester City chiefs spent £69 million on six signings and, no doubt, they did not make a good choice this time out. Over the years Simone Zaza has established himself as one of the best Italian attackers. Zaza represents the Azzurri on the international stage and many people expected that he would make a great progress in the Premier League. However, the West Ham United striker was struggling to find his best form in the first half of the season and the former Juventus man failed to find the net in eight appearances for the Hammers. As a result, West Ham owners decided to end Simone Zaza’s loan from Juventus in the January transfer window. It seems as if a move to Spain suited him as he has scored four goals for los Che in the second half of the season.